Overcoming Anxiety – Time to stand in the sun.
. I was scared to go out and be with people but simultaneously afraid to be on my own. I never knew what would trigger a panic attack that could leave me in bed for days at a time. Claire Campbell-Adams understands that your privacy is important to you and that you care about how your personal data is used. [We] OR [I] respect and value the privacy of everyone who visits this website, www.clairecampbelladams.net (“[Our] OR [My] Site”) and will only collect and use personal data in ways that are described here, and in a way that is consistent with [our] OR [my] obligations and your rights under the law. [Main trading address:] OR [Address:] As above. b) The right to access the personal data [we] OR [I] hold about you. Part 13 will tell you how to do this. c) The right to have your personal data rectified if any of your personal data held by [us] OR [me] is inaccurate or incomplete. Please contact [us] OR [me] using the details in Part 15 to find out more. d) The right to be forgotten, i.e. the right to ask [us] OR [me] to delete or otherwise dispose of any of your personal data that [we] OR [I] have. Please contact [us] OR [me] using the details in Part 15 to find out more. f) The right to object to [us] OR [me] using your personal data for a particular purpose or purposes. g) The right to data portability. This means that, if you have provided personal data to [us] OR [me] directly, [we] OR [I] am using it with your consent or for the performance of a contract, and that data is processed using automated means, you can ask [us] OR [me] for a copy of that personal data to re-use with another service or business in many cases. For more information about [our] OR [my] use of your personal data or exercising your rights as outlined above, please contact [us] OR [me] using the details provided in Part 15. If you have any cause for complaint about [our] OR [my] use of your personal data, you have the right to lodge a complaint with the Information Commissioner’s Office. • [Supplying you with information by [email] AND/OR [post] that you have opted-in to (you may unsubscribe or opt-out at any time by simply clicking unsubscribe on emails received. Third Parties whose content appears on [Our] OR [My] Site may use third-party Cookies, as detailed below in Part 14. Please refer to Part 14 for more information on controlling cookies. Please note that [we] OR [I] do not control the activities of such third parties, nor the data that they collect and use themselves, and [we] OR [I] advise you to check the privacy policies of any such third parties. [[We] OR [I] use the following automated system[s] for carrying out certain kinds of [decision-making] AND/OR [profiling]. If at any point you wish to query any action that [we] OR [I] take on the basis of this or wish to request ‘human intervention’ (i.e. have someone review the action themselves, rather than relying only on the automated method), the GDPR gives you the right to do so. Please contact [us] OR [me] to find out more using the details in Part 15. [[We] OR [I] may store or transfer some or all of your personal data in countries that are not part of the European Economic Area (the “EEA” consists of all EU member states, plus Norway, Iceland, and Liechtenstein). These are known as “third countries” and may not have data protection laws that are as strong as those in the UK and/or the EEA. This means that [we] OR [I] will take additional steps in order to ensure that your personal data is treated just as safely and securely as it would be within the UK and under the GDPR as follows. The security of your personal data is essential to [us] OR [me], and to protect your data, [we] OR [I] take a number of important measures. [[We] OR [I] will not share any of your personal data with any third parties for any purposes, subject to one important exception. 10. How Can I Control My Personal Data? 10.1 In addition to your rights under the GDPR, set out in Part 5, when you submit personal data via [Our] OR [My] Site, you may be given options to restrict [our] OR [my] use of your personal data. In particular, [we] OR [I] aim to give you strong controls on [our] OR [my] use of your data for direct marketing purposes (including the ability to opt-out of receiving emails from [us] OR [me] which you may do by unsubscribing using the links provided in [our] OR [my] emails [and] OR [,] at the point of providing your details [and by managing your Account]). 11. Can I Withhold Information? 12. How Can I Access My Personal Data? If you want to know what personal data [we] OR [I] have about you, you can ask [us] OR [me] for details of that personal data and for a copy of it (where any such personal data is held). This is known as a “subject access request”. There is not normally any charge for a subject access request. If your request is ‘manifestly unfounded or excessive’ (for example, if you make repetitive requests) a fee may be charged to cover [our] OR [my] administrative costs in responding. [We] OR [I] will respond to your subject access request within 21 days and, in any case, not more than] one month of receiving it. Normally, [we] OR [I] aim to provide a complete response, including a copy of your personal data within that time. In some cases, however, particularly if your request is more complex, more time may be required up to a maximum of three months from the date [we] OR [I] receive your request. You will be kept fully informed of [our] OR [my] progress. 13. How Do I Contact You? Postal Address: River Reach, South Wales. [We] OR [I] may change this Privacy Notice from time to time. This may be necessary, for example, if the law changes, or if [we] OR [I] change [our] OR [my] business in a way that affects personal data protection. I publish my thoughts and opinions based on my own research and findings, good or bad. I have learnt that the only way to write is with integrity, I now publish my blog with complete transparency, none of the posts on my blog are paid for, If a blog is commercially supported or sponsored it will have the letter (P) on it. I accept advertising to the home page of my website, this carries a premium rate. All of my blog posts are exclusively written by me and posted in real-time. Asides from my own blog, I may also publish on my blog guest posts by members of the public to allow them to share their experiences of life with Coeliac Disease. I do not charge for this. I also invite experts to write guest blogs. I do not charge for it. I often ask medical experts to verify my content before I publish. Not all of my posts are medically verified or checked. 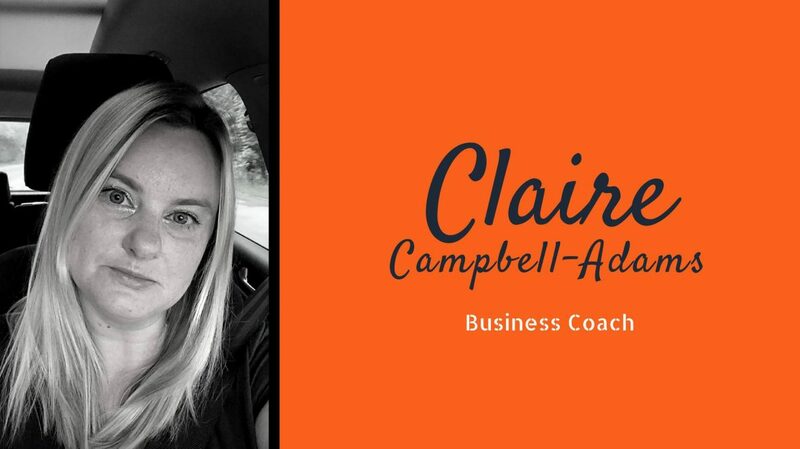 Any article published on http://www.clairecampbelladams.net should not be substituted for qualified medical advice and I would always advocate that you seek professional advice and guidance for any medically related topic or subject. All original text and photographs are copy write Claire Campbell-Adams please ask permission for use.